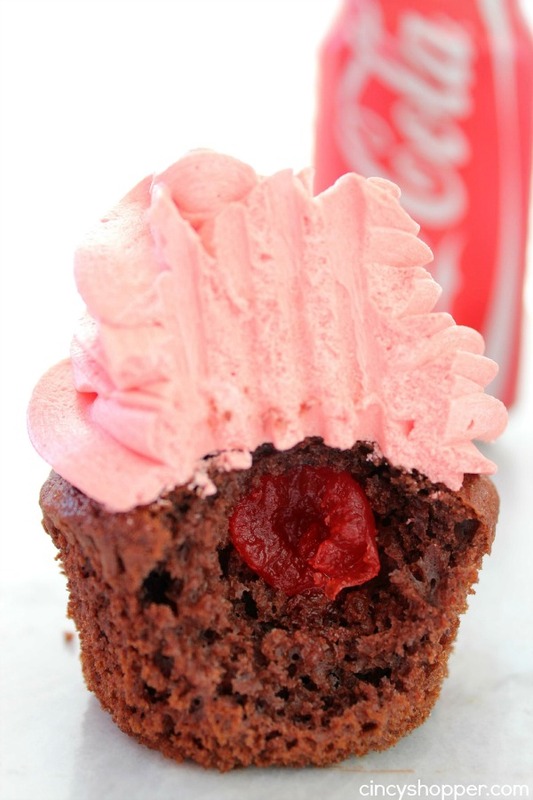 If you are looking to put a fun twist on a cupcake, these Cherry Coke Cupcakes will be perfect. 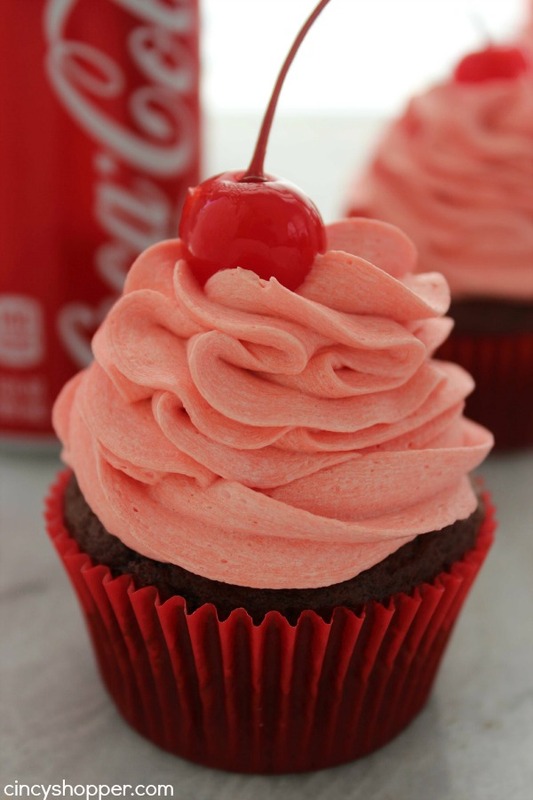 You will find Coca-Cola and cherry flavors throughout the mix and icing plus a cherry in the middle for added surprise. Such a fun cupcake. My hubby is a huge fan of Coke. Soda is his worst vise. I wish I could slow him down but after 20 years of trying, I think it is virtually impossible, ha ha. 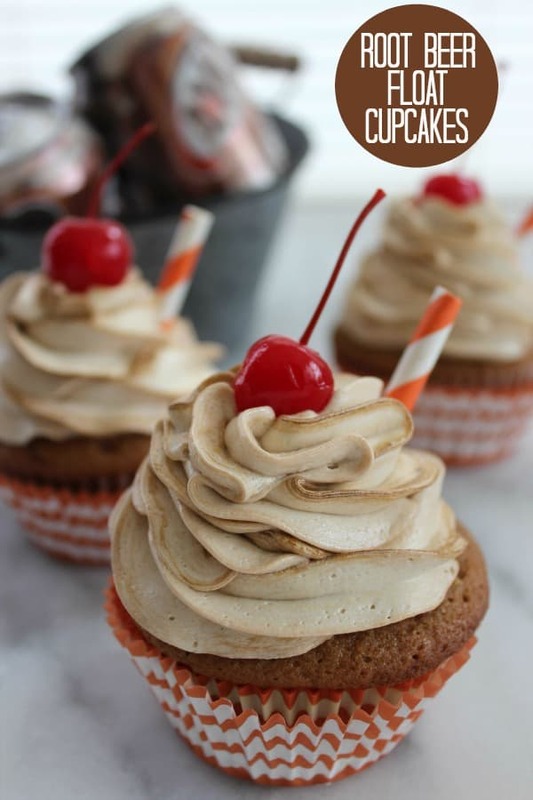 Since he was a fan of the Root Beer Float Cupcakes and the Copycat Cracker Barrel Coke Cake we have made, I knew these cupcakes would make him a happy camper. 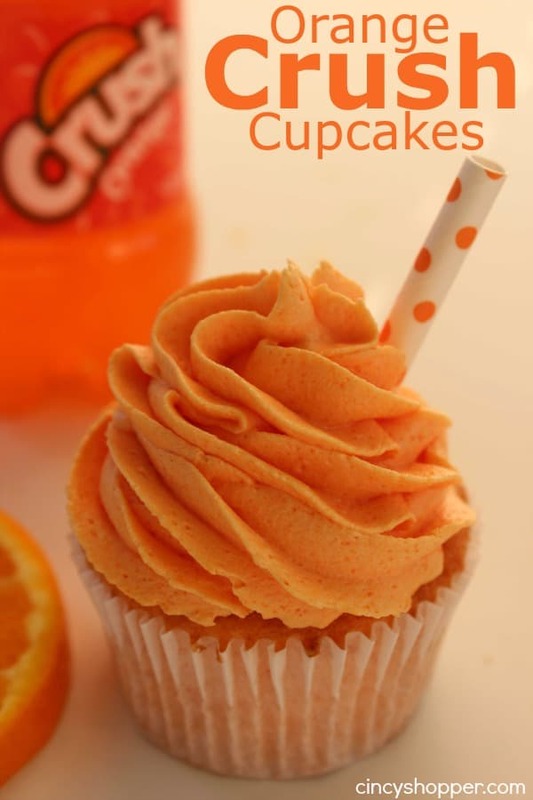 These cupcakes make for a easy dessert idea since they start with a boxed cake mix. The addition of the Coke and the cherry juice really makes them a bit special. 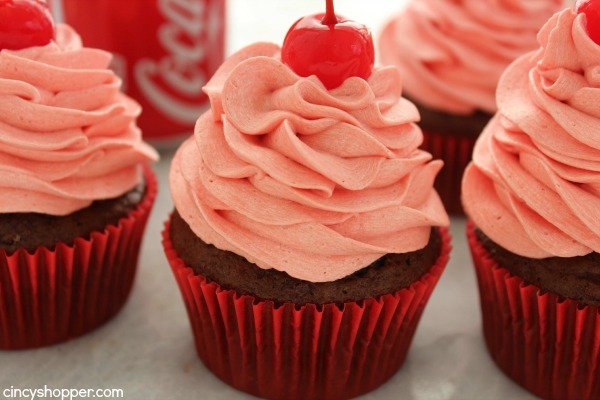 The hubby was amazed at how tasty these Cherry Coke Cupcakes were with his evening dessert. He has become a bit spoiled with all my baking and sometimes doesn’t get as excited about some of my desserts. This cupcake did surprise him. 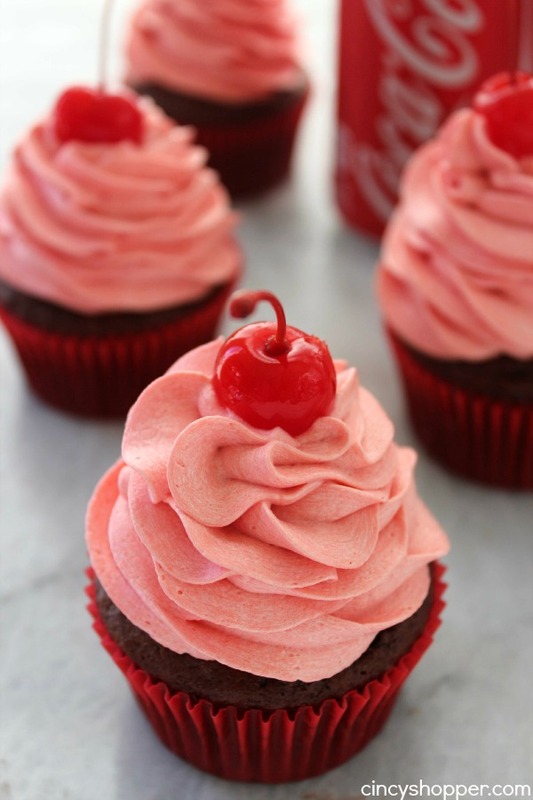 Plus the cherry in the middle make them extra yummy! 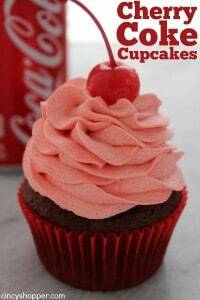 These Coke Cupcakes are pretty darn simple. 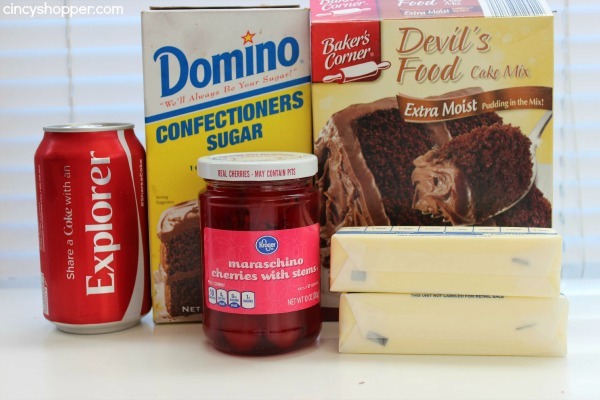 You will need a Devil’s Food cake mix and coke as well as a few other pantry staples. They come together very quickly. 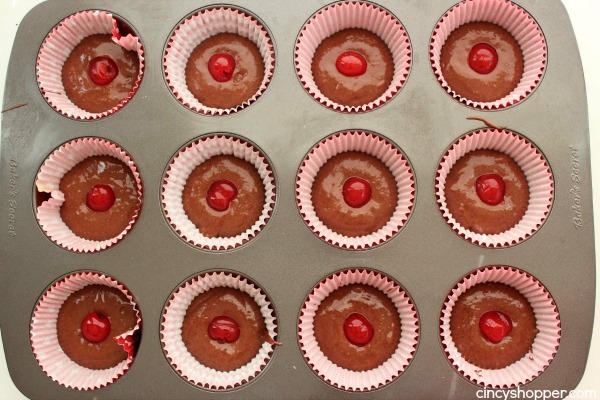 Make batter according to box direction EXCEPT substitute 1 cup Coke and 1/3 cup cherry liquid for water. Fill liners 2/3 full and add 1 cherry to the middle of each. Bake according to box directions and allow to cool completely. Whip butter, coke and cherry liquid and gradually add powdered sugar. 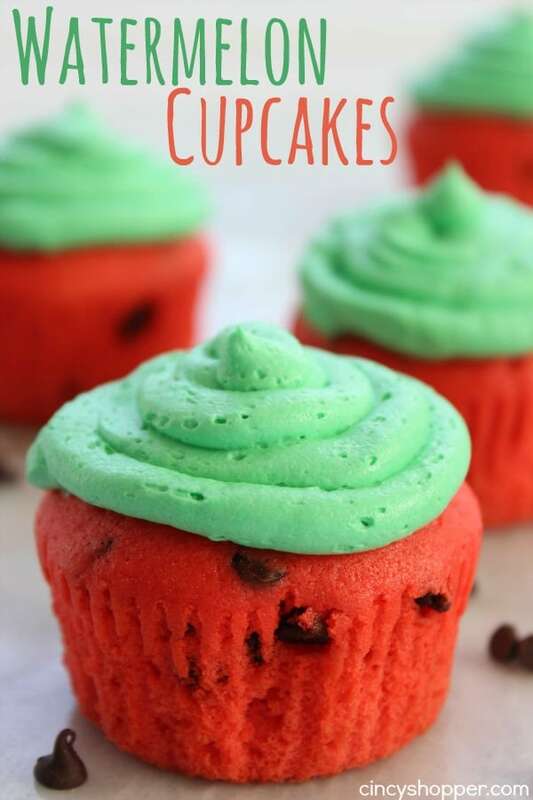 You can optionally add red food coloring to get desired color. 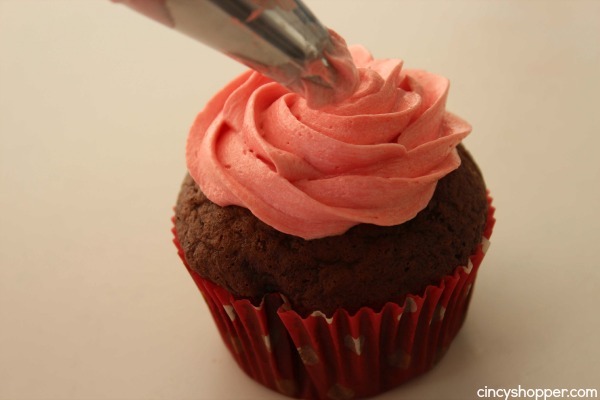 Transfer frosting to piping bag and frost each cupcake. Top each with another cherry. Do you have a favorite boxed cake mix hack? We love taking a boxed mix and kicking it up with special hidden flavors in the mix or frosting.